This beautiful custom home is one you won't want to miss! Featuring open beam ceilings, a cozy fireplace and hardwood floors, it's a house you'll fall in love with. The large covered lanai just outside the living room is the perfect spot for barbecues and entertaining, or just a place to sit and relax while enjoying the peaceful surroundings. This spacious 2-story home includes 2 bedrooms and 2 baths along with kitchen, dining and living room upstairs and 1 bedroom, 1 bath, laundry room and family room downstairs. There's a possibility to convert the downstairs into a separate rental unit as each has its own entrance. 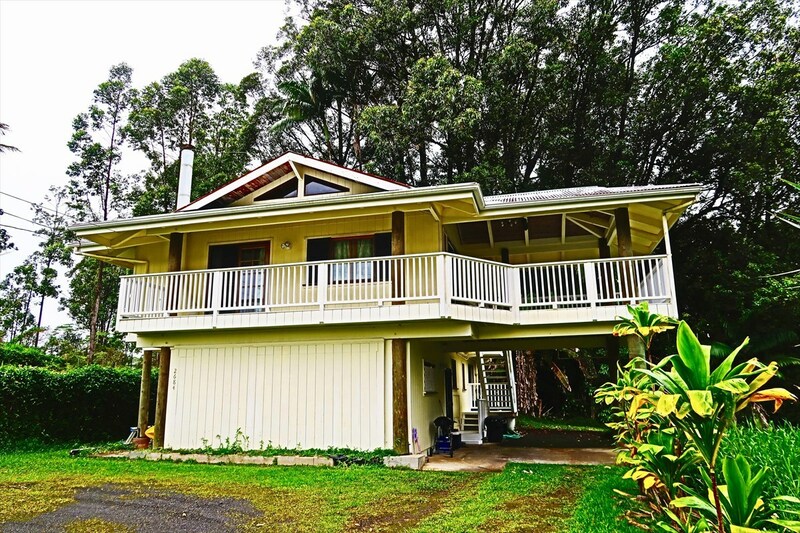 Don't miss the opportunity to own this lovely Hilo home!